We are getting a new ‘Dollar’ store. If you aren’t familiar with them, the idea is that everything in the store is useful household items for around $1. The original idea was brilliant! You knew what the price of everything was going to be! Then, inflation happened. Most of these stores started having to change their signs delicately to say $1.25 or $1.50 to adjust for the increased costs. So they might say, “Everything for $1.50 or less”. This new store is still trying to do the same thing. 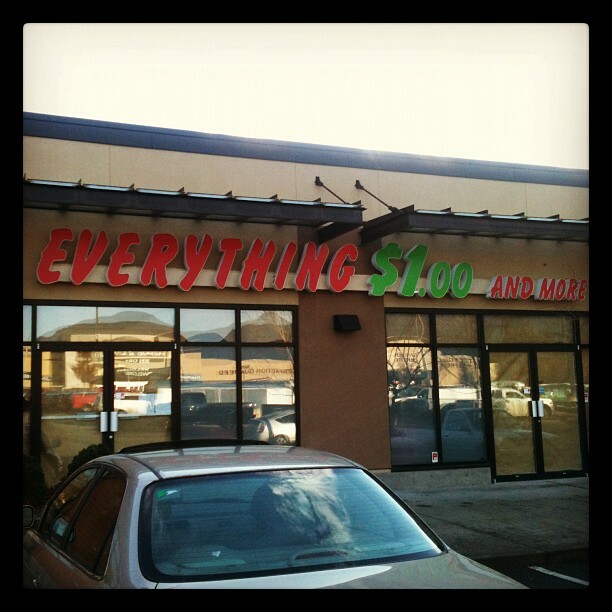 They want everyone to shop there and with the $1.00 right on their sign, you think you will find “Everything $1.00”. But what is this “and more”? Do they mean you will find “everything and more” for a $1.00? Or, that they have set a new standard in pricing, and “everything will be at least $1.00”? Kind of like a store that is now doing the opposite of the other ‘dollar’ stores. The other ones have a maximum price of $1.00 or $1.50, but at this store they have minimum pricing! Anyway, the staff at work are getting a good chuckle from it all! One of the staff saw the new sign going up when she went for lunch. It read, “Everything $1.00”. She thought, “sweet!”. 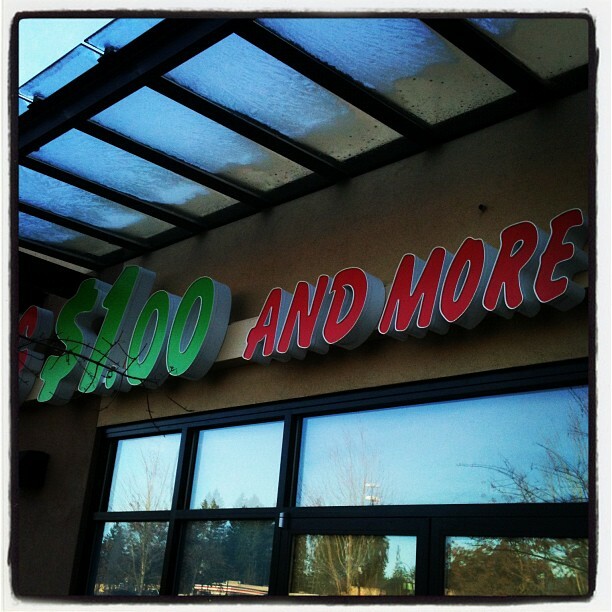 Then when she got back from lunch she saw the “and more”… lol. Previous PostPrevious Photo of the Day – Presents!